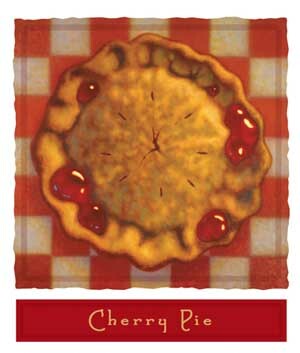 Every time I think of cherry pie, I think of the Rock hit by Warrant. I can't help it. It gets stuck in your head. Not that it has anything to do with this elegant wine, though. 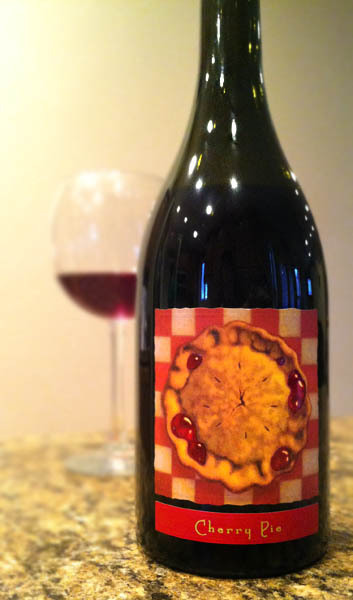 But this, this is the review of the Cherry Pie wine, a Pinot Noir from winemaker Jayson Woodbridge. Not quite the same as a song by Warrant. Not at all. If Jayson Woodbridge's name sounds familiar, that's because it should. He's the creator of both Layer Cake Wines and Hundred Acre Wines. In other words, the guy knows what he's doing and has results to prove it. Cherry Pie Pinot Noir is made from grapes grown on the Stanly Ranch in the Napa Valley. Now that's a good pedigree, if I do say so. The wine was mainly aged in French Oak, with a small portion being aged in stainless steel. It was not racked or filtered, leaving the wine as pure and whole as it could be. The 2010 Cherry Pie Pinot Noir pours a gorgeous ruby red with the slightest hints of light brown around the edges, likely from the fact that it wasn't filtered or racked. Aromas are of sugared cherries, raspberries, vanilla, and white pepper leading into an interesting earthiness reminiscent of leather hiding behind the sweet smells. Tasting brings a light-bodied but sensual experience with buckets of overripe cherries, holiday baking spices, hints of damp earth, and a ridiculously interesting savoriness a bit like sweet and smoky BBQ sauce that gives way to a nice bit of lingering meaty umami, and a nice oaky finish. To say this is a wine to sip, savor, and ponder would be an understatement. It's perfectly balanced and holds strong between the sweet red fruit flavors and the wonderful Pinot Noir savoriness, keeping your attention throughout the entire glass. A wonderful Pinot Noir. Drink This: if you want a excellent California Pinot Noir. And okay, I couldn't resist throwing this in here... Sorry.